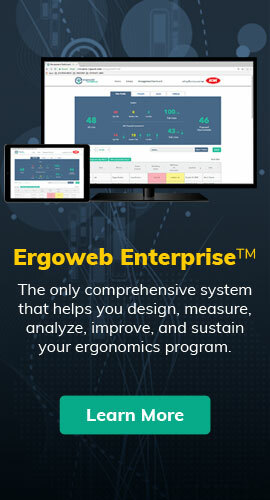 In this Ergoweb exclusive, Dr. David Cochran shares the standard that he and many of his ergonomics colleagues would have preferred over the version that was rescinded by the USA Congress in 2001. Dr. Cochran was instrumental as an ergonomics expert and advocate within OSHA as the standard was being developed. As with any political process, compromises were made that many felt weakened the standard, and perhaps even determined its fate. The documents he shares in this article contain the full standard as he and others wished it would have been, and can now be used as an excellent blueprint for the elements of a successful ergonomics program. This standard was rewritten by me over a period of several years – ending in 2003. In 1997 I was brought into the US Occupational Safety and Health Administration (OSHA) as the Team Leader for the Ergonomics Program Standard. The standard presented here is very similar to the one written by that team and promulgated by OSHA in 2000. That standard was rescinded by the US Congress in 2001. The standard that was promulgated was written by a large and dedicated group of OSHA employees with input from all sectors of those who would have been impacted by it. I have taken the document and modified it to suit my particular perspective. It includes the things that I thought were good and reasonable and excludes those I felt were not. I eliminated the parts pertaining to worker removal protection and strengthened the grandfather clause parts so that existing programs that are successful are likely to be considered acceptable. I have included more guidance and specificity on program evaluation – what would be considered an acceptable program. I learned while working at OSHA on the Ergonomics Program Standard that employers want any standard they are required to meet to be very flexible and they also want to always know when they are in, or out of, compliance – flexible and specific. Flexibility and specificity in a regulatory standard are pretty much contradictory – almost mutually exclusive. In this standard I have attempted to accomplish both as much as is possible. This document owes a great deal to all those in OSHA/DOL who worked and agonized over the promulgated standard on which it is based. I, personally, owe a great deal of gratitude to those who decided to allow me to participate in this activity and to those who taught me about standard writing. To mention names would result in accidentally leaving someone out and it might actually damage their careers. They are dedicated, hard working people who believe in the concept of a safe and healthful place to work for all working people. Doing good Ergonomics is a win all around. It results in better production methods, fewer injuries and illnesses, better morale, and higher quality products or services. As a result, it makes good economic sense. Injuries and illnesses due to poor ergonomic design are real and they cost real dollars – lots of them. The only kinds of fights worth fighting are those your are going to lose, because somebody has to fight them and lose and lose and lose until someday, somebody who believes as you do wins. In order for somebody to win an important, major fight 100 years hence, a lot of other people have got to be willing — for the sheer fun and joy of it — to go right ahead and fight, knowing you're going to lose. You mustn't feel like a martyr. You've got to enjoy it. — I.F. Stone. This article originally appeared in The Ergonomics Report™ on 2012-04-17.